From Goodreads: Emma Vaile is the most powerful ghostkeeper in centuries. Which is great for battling the wraith-master Neos and horrible for her social life. Emma knows fellow ghostkeeper Bennett Stern is her soul mate, but when ghostkeepers fall in love, the weaker one loses all power. And until Neos is defeated, Bennett and Emma can't risk it. 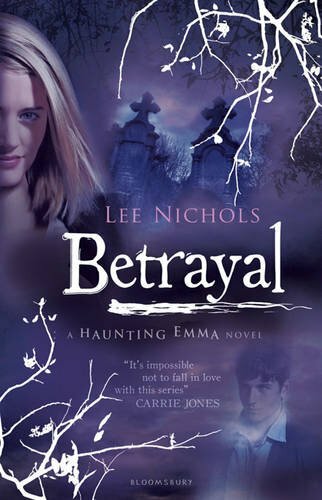 When the temptation of being with Emma gets to be too much, Bennett disappears, pursuing a dangerous path to increase his powers. Heartbroken and alone, Emma tries to lose herself in school. But when the Knell, a secret ghostkeeping society, sends two new ghostkeepers to Echo Point—one a snarky teen guy, the other a British scholar—Emma throws herself into training to battle Neos. But as the team grows stronger, so do the ghosts. And worse, one of their own will betray them. One Emma never suspected. . . .
Having really enjoyed Deception I picked up this one as soon as I'd finished the first one. Now that Emma knows she is a Ghostkeeper and understands what it means she throws herself into her role. This installment is much more action packed than the first and there is still the romance and mystery element to keep me hooked! The characters really develop in this one too. Emma becomes much stronger - and more accepting of her abilities. Her relationship with Bennett is still a driving force of the story but he was absent too much for my liking. We know why he's not staying near Emma but I really missed their interactions. But when he was present the scenes were awesome! Some new characters are introduced and I loved them! I also have really taken to Natalie - I really think she is a good friend for Emma. And I loved learning more about Emma's family. Again the story surprised me. It is completely unpredictable - I had no idea what was going to happen and I couldn't wait to find out. I am so looking forward to the third book - Surrender - when it's published! More please!